Update: the next ESR was moved to coincide with Firefox 60 instead of 59. ESR 52 will be the last ESR release that supports legacy add-ons. Support for ESR 52 officially ends on August 2018. The following ESR release (60), and any subsequent release, will not support legacy add-ons. There will be no override provided for this behavior. Does this mean ‘legacy’ add-ons will eventually disappear from AMO? What about users (like myself) that have turned off automatic updates and will only use Fx v56 for the foreseeable future. Will there be any repository we can go to to install non-WE extensions? For AMO, we generally draw the line for support on ESR, and supporting legacy add-ons means maintaining a whole host of features that make the site very complex and hard to work with. There won’t be a Mozilla repository for legacy add-ons after we drop support, but the add-ons are currently available if anyone outside of Mozilla wants to try to create one. So now it looks like, not only have I had to download FF56, but I’m going to have to download all the XPIs too in case I need to install elsewhere. Another case of scorching the earth and salting it as you move forward preventing anyone who disagrees with you from being able to go their own way without someone investing a huge amount of effort. To save all your current extensions in Fx v56, you may want to try my FEBE extension to backup those add-ons as install-able .xpis. But get it soon because it won’t be around in Fx v57. Using not up-to-date Firefox is dangerous, you can catch malware or be hacked. If you want to dely the WebExtensions switch it’s way better to switch to 52 ESR than stay on v56 with security issues. Firefox updates about every six weeks. My anti-virus program updates much more frequently than that. I don’t believe I’m taking any real risks. Why bother? We’ll be stuck using an out of date Firefox eventually, since they refuse to support proper extensions. OverbiteFF, one of the extensions that keeps me on Firefox over chrome is literally impossible as a webextension, the best you can do is a redirect to an external proxy. This also violates the agreement Mozilla put in place with the Gopher community when they removed gopher support from core because of a completely unrelated bug in Safari. The promise was that it would *always* be an option as long as someone was willing to put in the effort to maintain an extension. I have the same reasoning for not upgrading. Yes, the new Firefox is fast but the extensions I use cannot be replicated with web-extensions ether. Firefox has the best add-ons and that is what makes Firefox so great. They are ruining their platform if they don’t allow the legacy add-ons. I’m going to keep the old Firefox over Quantum even if that puts me at risk. -greasemonkey: is the root for a LOT of functionality tools I use. is this going to make it, nnnope. -echofon: yes, I saved an old copy for my addon bar extension. and I’ll keep using it until the darn thing coughs up it’s last breath. Is it updated anymore? SURE ISN’T. the only reason it ever survives the great firefox unsigned banbot is because i sign my own copy of this dated thing. You can bet this won’t make the jump though. -Lazarus: actually this died like three versions ago, and i’m still bitter. there’s nothing so far that replaces this in pure “capture everything so you don’t lose it” form. There won’t be in the new batch either. -the million other toolbar addons i’ve had to switch to over the years: WHY DO YOU HATE THE BOTTOM TOOLBAR, JUST LET ME HAVE THE BOTTOM TOOLBAR, YOU *ANIMALS*. -Tile tabs: they have a new version, and it has an average of two stars! You know why? because they can’t replicate the basic functionality they had in the old one. Oh man, what a great new world we live in. back to tiling windows like the old win 98 days! -new tab tools: you (general “you”) take this from me? i will cut you. I do not look forward to the fun of having to choose between working or nursing my chronic migraines, i do not look forward to parceling out my internet time in little blocks or making sure I monitor my exposure to bright web design like other people monitor their exposure to radiation, lest it builds INTO a migraine. I do not look forward to the browser who sells itself on flexibility forcing me into patterns of use that lead to additional eye strain. I do not look forward to some arrogant little snit saying “i told you so” for if my web browser gets compromised… because I chose the option that lets me do my job. I know that I may need to jump on the esr train, but to do that I’ll also have to port over every odd little thing from my old browser. Man, wouldn’t it have been wonderful if they made the new extensions one the offshoot, promoted that, and let us gimply little migraine-bats have a version that works? Many add-ons you mentioned will be ported, but that’s probably not what you want to hear. I’ll just say that you can install ESR without having to manually port anything. I believe if you install ESR and start it up, it will use the exact same profile you’re using now, with all its data. Yes and no. I DO want to hear that the addons I need will be ported, but what I DON’T want to hear is some mealy-mouthed bit about how they’ve been “technically” been ported, but lack the base functionality. The base functionality is broken, it’s not even close to how the original works, and yet, I want to know if according to you and mozilla if you’d count this as properly “ported”. If you don’t then fantastic! we’re on the same page. Ported should mean “about 90% or more able to do the thing the old version was able to, in the same fashion” However if you’re counting examples of this as successfully “ported”… then no, you’re right, that’s NOT what I want to hear. that’s you trying to use pr speak to cover up that this new format has massive holes that need to be filled in before everyone should be forced to convert over to. so yeah, most likely I’ll give a shot to esr, but the last time i dis the “hey use this alternate version” dance it was with nightly, and that thing never seemed to remember any of what I wanted it to remember. However is it so dang hard just to have a version that lets us have legacy support that you just patch whenever a new exploit targets it? or idonno… have a more complete codebase of something before you force us to move over to it? > However, AMO will primarily focus on WebExtension add-on listings. Does it mean that XUL extensions will be unreachable via search? Or even deleted from the site eventually? Will you provide a list (or better a complete dump) of obsolete extensions that will be hidden (removed), so an independent search (add-on storage) website for legacy extensions could be created? There happen to be interesting and unique extensions so I’d like to see all of them archived somewhere. > Does it mean that XUL extensions will be unreachable via search? Or even deleted from the site eventually? After the June deadline, most likely yes. You can access the current add-on set via the AMO API. Someone interested in creating an archive can use this while the add-ons are available on the site. As long as it’s relevant, I suppose. It’s deprecated in the context of add-ons, but it’s still needed for Firefox development. After reaching the next ESR, what will happen with legacy Thunderbird/SM add-ons in AMO? We’re working on a solution for Thunderbird and SeaMonkey add-ons. More on that soon. I tired to open console for my blog but it’s not showing. And i saw most of the addons are showing yellow button with name Legacy! I’m not showing what that mean. Please tell me. It means those extensions will disappear forever next month and there is nothing you can do about it (unless the developer re-writes the extension from scratch with the WebExtension platform). Thanks for your response. I thin the Firefox default console is better for me now. Don’t forget: Many, many extensions are literally impossible to implement as webextensions. Even ones that Mozilla promised would always be an option as long as someone was willing to maintain it. I started my day like any other day. But I ended up somehow being redirected to a Bugzilla site for what is supposed to be a bug. I’m supposed to set the appropriate flags and settings by following those instructions. So I tried logging in. It turns out that I have possibly 7 websites connected to Mozilla in one way or another. I finally after maybe an hour did log into a Wiki Main Page. Not your wiki page but the whole wiki site with the signin that I use for wiki.Mozilla.org. Did I ever get to that website to configure those flags and things…No! By the time I had read all of that I had to go. So – Add-ons. I “bought” Kaspersky for a reason and part of that reason is because I have and want to continue using the Browser Security. It’s a feature that should not be discontinued by anyone but myself or Kaspersky. The other add-ons really do not have any equally as good replacements. Leaves one feeling hopeless and looking for a new browser. What is bothering me is that I don’t want to learn all the workings of the Browser – The Code – The API’s – Old but really very good add-ons that I can’t find replacements for – or Wiki Centralized log-in, etc, etc, etc.. I try to do something very simple on your Browser now and I end up with possibly 10 new tabs. I do not want to be reading all this new information when I have much more pressing things I want and have to do on here. Don’t get me wrong….I love your Browser and have since the day it came out. I really think that you all work very hard to make this the best Browser out there and you are doing just that. But just like Windows now – They are “making” people read about features that we plain and simple non-coders don’t want to. Microsoft is turning Windows into a “Learning Service” not “Windows as a Service”. And they won’t respond to any feedback. Please don’t make anything more difficult. I now enter about:config and there is so much new stuff that it’s impossible to make Firefox/Thunderbird your own. Sounds like you’re using Windows. That’s the real problem. Stop paying and get better performance and security with a version of Linux. Well, I for one will not be updating to version 57. I love and use the add-ons every day and are a valuable tool. Sadly some or maybe all cannot be ported to your new system. DownThemAll – One of the best add-ons of all time is one I do not want to do without and the developer has already said that his add-on for what it does cannot be built with the new API’s. I don’t know about Evernote Web Clipper if they are able to go to the new system but another big one I use plus many more. I was already sad to see one of the best developer tools not even compatible with version 56. I doubt anyone will care about me not upgrading to 57 but I wanted to put my two cents in. There will probably be a DownThemAll port, and Evernote is already using the new system. Also, moving to Chrome isn’t going to make your add-on situation any better. So there’s not going to be a DTA plugin, there’s going to be a DTA Lite plugin which is inferior. Saying that going to Chrome isn’t going to make the situation any better is disingenuous as it’s not going to make things worse and he’ll have more options. As for everyone else, I expect you will see a significant amount of continued FF56 access to the AMO site for some time to come. What about user.js for WE? I like to store system and addons preferred settings in this file. But if WE use local storage API, this is not possible. in which i can predefine settings for all my installed WE. What alternative i can use for this? Managed storage does some of that. 52 still supports legacy add-ons, and NoScript should be working fine. It sounds like you have a different problem. My understanding is that FF 56 will still work after 57 and add-ons like YesScript will also still work, but if I get a new laptop someday, I will not be able to reinstall a legacy add-on from Mozilla and they will only be available if a third party has created a Legacy add-on site and it is listed there. Are these assumptions correct? Thanks in advance. 56 will continue to work indefinitely, yes, but it will become progressively less safe to use, as new security fixes are shipped with new versions of Firefox. For long-term support, it’s best that you install the ESR version of Firefox. It’s currently at version 52, and it will be officially supported (and get security updates) until June 2018. After that your only choices will be to move to the new system or use a potentially insecure version of Firefox. And yes, your assumptions are correct. 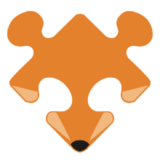 You can also save the add-ons you want on your own: right click on the “Add to Firefox” button on its page at addons.mozilla.org and choose Save Link As… Then you can open the saved file with xpi extension in Firefox anytime and it will offer you to install the add-on. And if you don’t want to spend the time locating and downloading all your ‘legacy’ extensions, you can use FEBE to back them all up as install-able xpis. Can someone migrate this add-on to the new API? Thank you. Hi Phunky, you might want to post this request to the community forum on Discourse (https://discourse.mozilla.org/c/add-ons) to share it with other developers. Wrong statement. By statistics the most users that has catched malware were with up-to-date browser. Simple math + stats.